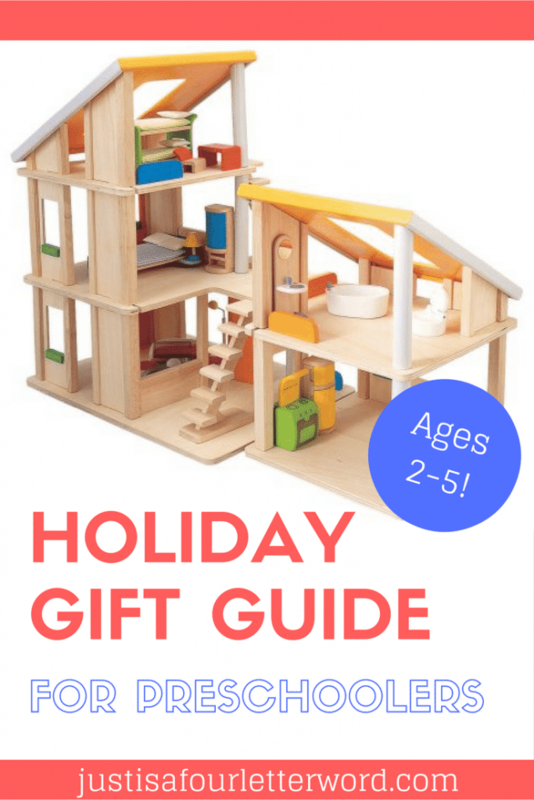 Today I am tackling gift ideas for Preschoolers! We have had a lot of great toy experiences this year so I am sharing a few of my favorites and some that I just happen to think look really cool in my Gift Guide for Preschoolers. I do have boys so you won’t see a lot of pink here, but I happen to think girls and boys alike would love these gifts. Games: Somewhere around age 3, Oscar really started to enjoy games. 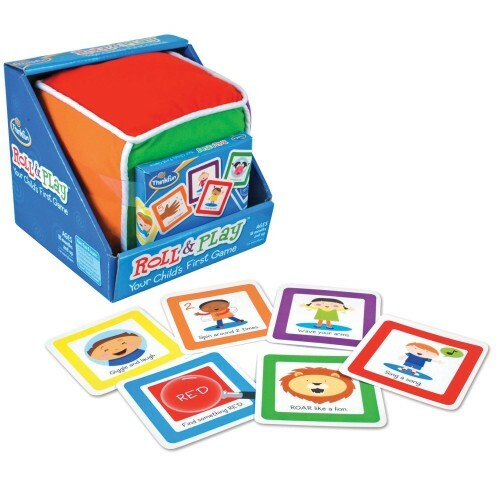 We really love Roll & Play from Thinkfun because it is easy to play, colorful and active. Check out my review here. Grab it on Amazon. Cars: Popular with boys and girls, Hot Wheels are tons of fun to collect and play with. 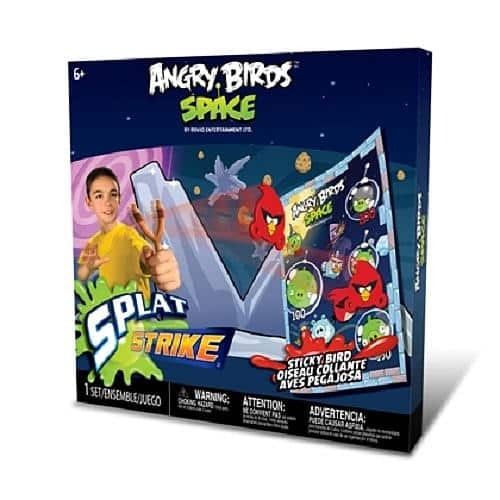 Of course Oscar has the Angry Birds version, but feel free to substitute your child’s obsession of the month. There are tons of Angry Birds options! Books: We are huge Mo Willems fans in this house. It all started with The Pigeon but now we love the Elephant and Piggie early readers! 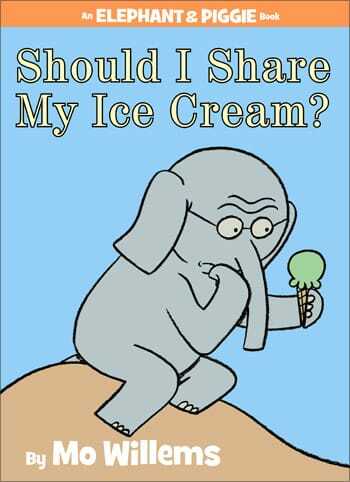 Our current favorite is Should I Share My Ice Cream? Angry Birds Star Wars: Well, if you know Oscar you know he is in a perpetual loop of Angry birds mania. In fact, he had never heard of Star Wars until the newest game was released, but he can tell you everyone’s name now and their bird-calls. True story. Even though this Jenga game is technically for 8 and up, I know he will love it when he opens it on Christmas morning. 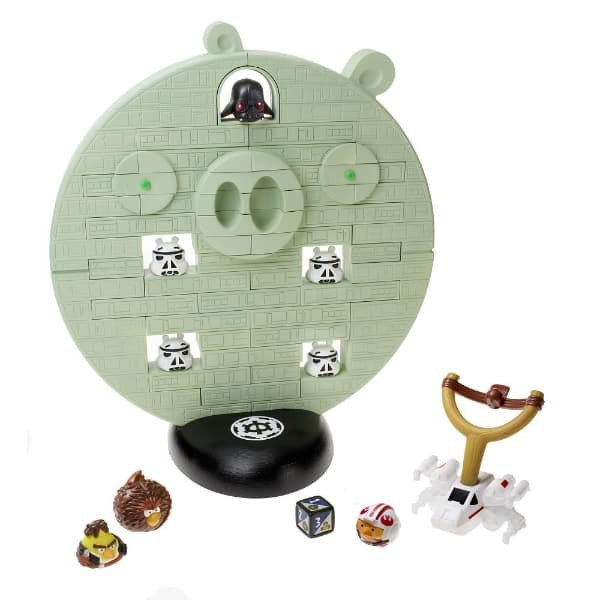 Death star shaped like a pig? Check. Ezy Roller: This nifty little ride-on toy looks like a blast and it would make a great big-ticket gift for the older side of “preschooler”. I am currently planning to review one and I can’t wait to check it out. Oscar has had a hard time getting the hang of pedaling his trike but he loves trying to ride around the cul de sac. I have high hopes for this baby! $99 on Amazon. Did I mention Angry Birds? I have one more Angry Bird game to tell you about. This one I got to play with when I was in New York this summer and it is awesome! 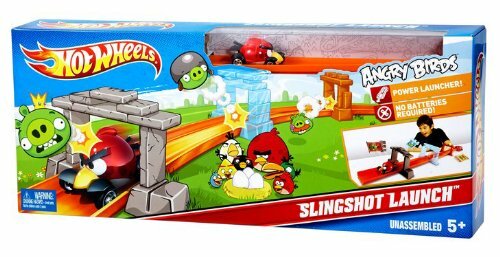 You put a target poster up on the wall and can actually fling the little rubbery angry birds with your slingshot at the targets. If you can’t find Splat Strike, fear not! There are some great games for Angry Birds fans of all ages. Favorite Shows on DVD: Is your child as pegged into one thing as mine? Oscar finds what he likes and sticks with it for months at a time. 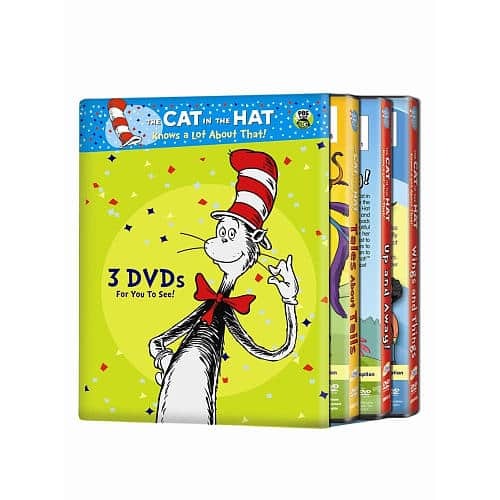 Right now we are holding steady on a Cat in the Hat (PBS) kick when it comes to TV shows. Before that it was Mickey Mouse Clubhouse. I wonder what will be next? The hard part will be choosing which one to get! Plan Toys Chalet: One more big ticket item to close out the list. 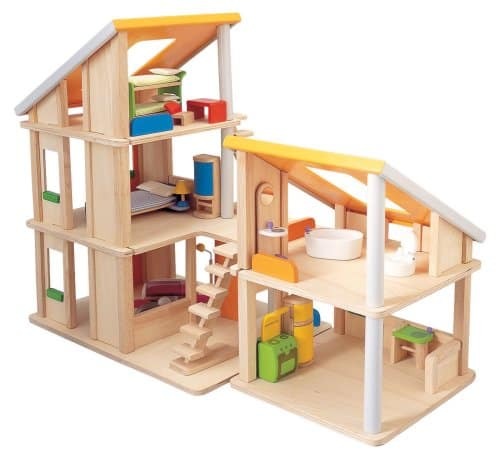 I am absolutely in love with this play house from Plan Toys. 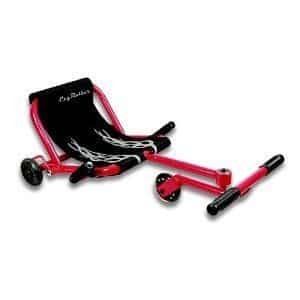 It’s made from all natural organic recycled rubber wood and will last for ages. I will have a separate review of this toy because it is so cool, but I wanted to share it here in case you were looking for something super special. If you have boys like me, don’t shy away from the “doll house”. It’s totally gender neutral and both my boys love playing with it! This model comes with all the furniture, but you can also purchase only the house. Get the furnished chalet on Amazon for $175. What do you think makes a great gift for age 2-5? Share in the comments below! Disclosures n stuff: This gift guide is just for fun. I either reviewed these products, bought them or they were a gift to my family. I did not get paid for this post, however it does include affiliate links. I hope you enjoy it! Oh those DO look awesome! I’ve never seen them. Are the magnets inside the tiles? We have super Mag-formers (Made by the same company), we LOVE them. Seriously one of the best toys we have. The magnets are inside of the edges so they can stack together to make 3D things like houses, rocket ships and more. Very fun. They are just like Catherine said–the magnets are in the edges, but enclosed. I can’t imagine that you could ever get them open unless you used a hatchet or something. Far beyond any other magnetic building toy I’ve ever seen, the structures that you can build are so much fun. A favorite was building a box, then hiding smaller toys inside. very cool.